Deborah Coen is a professor in the Department of History and chair of the Program in the History of Science and Medicine (HSHM). 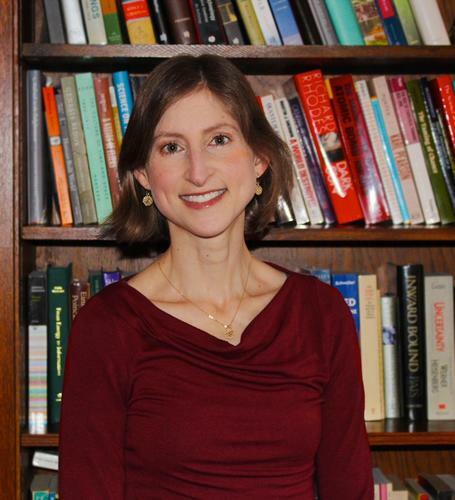 She joined the FAS faculty in July 2017, coming to Yale from New York City, where she had taught at Barnard College since 2006 and served as director of research clusters for the Columbia University Center for Science and Society. A specialist in the history of the modern physical and environmental sciences, and in Central European intellectual and cultural history, Coen is the author of three books—Vienna in the Age of Uncertainty, The Earthquake Observers, and the forthcoming Climate in Motion: Science, Empire, and the Problem of Scale—as well as numerous articles, book chapters, and essays. During a recent interview in her office at 320 York Street, Coen discussed her first semester at Yale, her latest work-in-progress, and the surprising roots of her interests at the intersection of science and the humanities. Q. What drew you to Yale? A. Yale has an amazing group of historians of science and medicine, and I have long admired their energy for promoting all that the discipline can do. For example, I heard from them a while back about their Science Studies Lunches (see sidebar), which bring students and faculty to science laboratories and museum spaces, fostering cross-disciplinary interactions in a really modest and open-minded way. So a lot of the appeal of Yale had to do with coming to work with the people who are now my colleagues. It was also exciting to me to come in as chair of the program. It’s an opportunity to have a hand in shaping the discipline of history of science and medicine, both by training graduate students and by setting an agenda for the field. HSHM has so much to offer right now, and not only as a bridge between the sciences and humanities. So often science is seen exclusively as a highly technical, elitist, “Western” form of knowledge. But new research is giving us an entirely different picture: we’re seeing how the sciences grew out of exchanges of know-how around the world, across divides of language and religion—among scholars, sure, but also merchants, artisans, peasants. It’s a whole new cast of characters. At Yale, I’m looking forward to helping to shape a curriculum that gives students an appreciation of the power and ingenuity of the modern sciences, while making clear that it was hardly an elite European invention. Q. What has been the most exciting connection you’ve made since arriving here? A. Being at the Whitney Humanities Center this year has been great for me. It’s a chance to meet colleagues in other fields, some of whom—like Gary Tomlinson, the center’s director—share my interest in working across the sciences and humanities. I’m also glad to have joined the Humanities Program Executive Committee and to be part of their conversations about rethinking what a humanities program should be in a global age, and what kind of undergraduate curriculum students need to be global citizens today. Q. Tell us about your teaching and your work with students. A. [In the fall semester I taught] an undergraduate seminar called “Gender and Science,” and I’ve been blown away by the students—they’re such critical thinkers, they see so much so quickly. That gives us the time to tackle new things during class, so I’ve been bringing in new primary sources to read and view with them. It’s been an opportunity to take the course in new directions. The program [in history of science and medicine] has such a presence on campus—both for majors and non-majors—which is part of why I’m able to push them. I hear from my students a lot of big, deep questions about the role of medicine in society—issues of inequality in health care that are not being addressed, and it’s up to this next generation to solve them. Some of the other students are much more historically focused—and they’re seeing that understanding the past of science is a big part of understanding the making of the modern world. Q. Your next book (Climate in Motion: Science, Empire, and the Problem of Scale) is due out later this year. What was the impetus for this project? A. I started the research for this book back around 2001, believe it or not. Climate science was in a different place than it is now—scientists were mainly concerned with making more accurate predictions of changes in global temperature. But what do you do with that? There was a team of Swiss scientists with a project to scale down those global predictions to look at climate on the regional scale. Their work resonated with some of the atmospheric physics I’d come across in my dissertation research (which was on probabilistic science in the nineteenth century). At that point, there was very little written about the history of atmospheric science; the history, such as it was, was all about how you get from research on local conditions to a science of the planet as a whole. And I wondered, what if you didn’t assume that teleology? What if you didn’t assume that climate science had become modern by moving progressively from smaller to larger scales? As I was developing the project, climate change became one of our top political issues, and it became clear to me that it was a problem not only for political historians, but also intellectual historians. It’s a puzzle of intellectual life: how people could deny the evidence, and how even people who accept the evidence could not change a thing about their way of life. So it seemed to me that intellectual history should be grappling with this historical phenomenon, this knowing and yet not knowing about our destructive impact. Q. You’ve been awarded a Mellon New Directions Fellowship for the 2018-19 academic year. What will this entail, and how will the fellowship affect your work here on campus? A. I’ll still be program chair, but I won’t be teaching—instead, I’ll be a student in the classroom! And that’s the idea behind the Mellon. It works out perfectly, because it’s also a really great way for me to meet colleagues in other fields—by signing up for their classes, taking their exams, and really coming to understand what makes them tick as teachers and researchers. Part of the plan is to take classes in atmospheric physics and climate modeling, to get a close understanding of climate science today. I have this ambitious idea of writing a truly broad history of climate science, or really climate knowledge. We often assume that climate science began with computers and satellites, but I see much deeper roots in vernacular traditions, in ideas about the changing seasons. I’ve done some of the work on the nineteenth century and even a bit before that, but I need the contemporary science to really trace a narrative. And then I need other sciences as well: botany, geology, medicine. They may seem peripheral, but, historically, they’ve been essential to producing knowledge of climate. The other part of my curriculum will be social science about climate change: economics, law, communications, anthropology. I want to understand how these disciplines are addressing practical problems around climate change in order to see how the history of science might contribute. Q. What might your colleagues be surprised to learn about you? A. A lot of people ask me, how did I come to write about something as esoteric as science in the Austrian Empire? Well, it helps to know that I grew up with parents who are both psychoanalysts. There was a book high on a shelf in our living room with a golden spine—it was very alluring, but the title was unpronounceable: Fin de Siècle Vienna. As I later learned, it was Carl Schorske’s famous account of Vienna as the birthplace of modernism. I always wondered about that book—maybe because I knew that Vienna had something to do with this cure that my parents had devoted their lives to. Since then, I’ve spent a lot of time researching and writing there; Vienna has been a wonderful site for me to think about the convergence of different disciplines and different cultures.